Aimee, Chris and daughter Andrea (who was at work and missed the photo) lost their greyhound Rumble earlier this year and were finally ready to welcome a new family member. 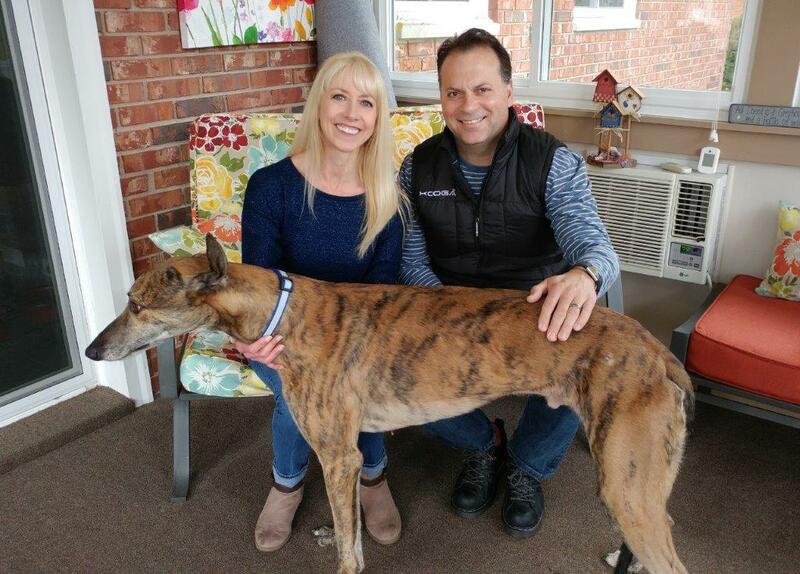 Brenda went to WV armed with Aimee's criteria for her perfect dog - and found him! TALL Quirky Rebellion, call name Bacardi, is affectionate, confident, playful and handsome. Andrea was thrilled to get home from work and find the new boy who is already fitting in seamlessly. Congratulations!